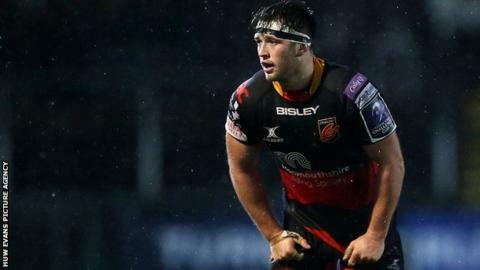 Dragons back-row James Benjamin has signed a new three-year contract with the Welsh region. Benjamin joins Elliot Dee, Leon Brown and Ollie Griffiths in agreeing new deals, while Wales back-rower Ross Moriarty will join from Gloucester. The 23-year-old has represented Wales Under-20s and Wales sevens. "The Dragons squad is full of talented young players and I'm excited to continue my time with the region," said Benjamin.